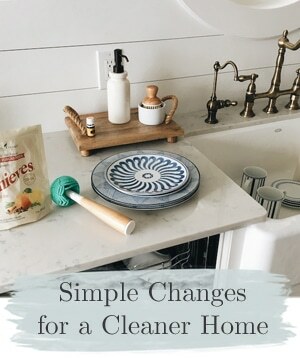 Since the very first time I mentioned my daily housekeeping routines many years ago on the blog, I’ve realized that many people have similar curiosities, questions and issues. It makes sense that one of the most common subjects I’m asked about on a regular basis is in regards to housekeeping. I mean, it’s always fun to talk about decorating and everyone’s unique styles and all that. But day to day, housekeeping is something we all deal with. I get questions on specifics like how to keep elements in a house clean (like a sink, appliances, rugs, hardwood floors, tile, upholstery, furniture, counters, etc), my cleaning routines (how often I clean, what I clean, how to keep things clean, how to keep certain rooms clean), how to live with other people who make a house messy or dirty (husbands and kids! 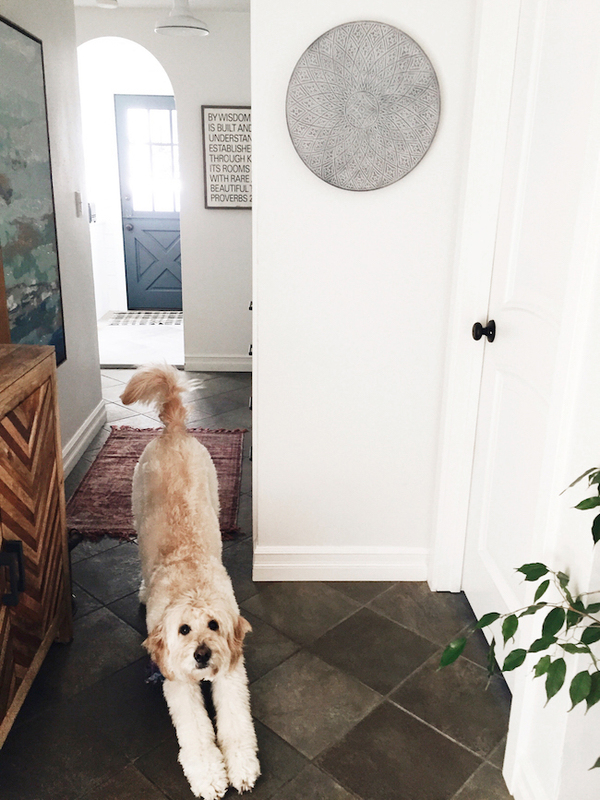 ), how I keep my house clean with dogs (or do I? ), what products I clean my house with, questions on non-toxic and healthier household products, do I have a housekeeper, how to deal with all that clutter or how to get all the things organized. It’s stuff most of us deal with, yes? I’ve written books that include some of those answers. In fact, I actually have a brand new book on organizing coming out April 3 that I can’t wait to share with you! I’ll tell you more about the book later, but if you’re excited, you can check it out and even pre-order it now here! I’ve written blog posts on a few of those topics, too. I’ve answered lots of readers questions in emails and on social media. You probably know this, but I’m not a perfect housekeeper by any means. Besides the help of my husband on certain tasks, I still don’t have an official housekeeper (actually, I think that would be a dream come true). 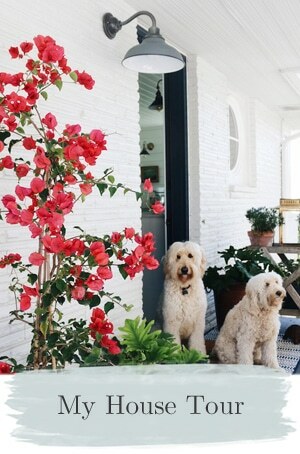 We have dogs, teen boys, people in and out, I run two busy businesses, we cook most meals at home, we have clutter, dust, dirt, and grime like everyone else…but in general, we strive to keep our house reasonably clean most of the time. You know my motto, I’ve shared it lots of times. I want a “clean enough” house. I have some higher standards for cleaning than maybe some people do, but my standard is not perfection (at least not on very many things hahah). I have certain things I can totally live with and other things that I just can’t or won’t. I’m laid back in many ways, too. I’ve described a lot of my housekeeping mindsets in my books, but I know there are so many more questions I could answer for readers. So all that to say, I’m thinking about sharing more details on my housekeeping methods and offering some of my tried-and-true tips. In fact, because of the volume of questions that have been asked and how often this comes up in conversation, I may actually do a more comprehensive ongoing/periodic housekeeping series here on the blog. Would you guys be into that? I also want to share more of those types of daily things on my Instagram stories if you follow me there (if you don’t, you should! I’d love to see you there!). Tell me about your housekeeping style! Are you somewhat tidy? Super clean? Crazy house? Dogs everywhere? Out of control? Or ask me questions! Let’s chat! I think a series like that sounds very helpful and relevant to everybody! Yes please! I think a series would be wonderful. I retired from teaching 3 years ago. A ton of things happened in the last year of teaching (daughter married, lost a parent, and had a chronic illness). You get the idea —my house was out of control. I spent a ton of time researching a plan as I have a large home and just felt overwhelmed. When my house is clean and everything in its place, I am a happy person. Nothing was in its place and I had piles in every room. It took me quite a while to get a routine that worked for a large home, but it was not until I really dealt with the piles and clutter did I get that peaceful easy feeling. (sounds like a song:) I am not a minimalist as I like my home to have things in it that tell our story, but orderly makes cleaning a ton easier. 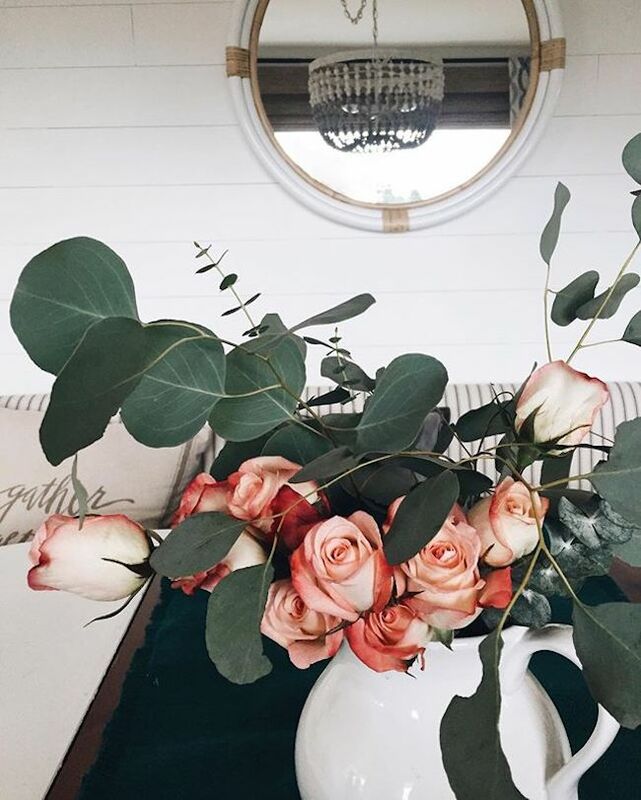 ^^ I just want to piggyback on what Sandy said… I too struggle with keeping up with a larger home and the fact that I am not a minimalist – I don’t like clutter, but I like plenty of decorative accessories and vignettes all around my home! I feel like so often the advice for keeping an orderly home is to get rid of things, which is good advice to a certain point, but doesn’t solve everything and for some of us doesn’t mesh with having a cozy, happy, thoughtfully decorated home. Hi Holly, I totally know what you mean! I love streamlining and decluttering my home so we don’t have as much clutter to deal with. But when it comes to decorating, but I too like to be surrounded by things that are meaningful and bring joy to our family. :-) That’s the best! I think cleaning series are always good because sometimes you find out something you never though of! I used to be a perfectionist and it almost drove me crazy. I remember going to a friend’s home when we both had toddlers and dropping something on the floor under her kitchen table. There were tons of Cheerios under there and you know what? I wasn’t disgusted. I loved her more because she wanted to spend time with us and didn’t care her house wasn’t perfect. Fast forward 15 years and I’ve kept the perspective that our house can be clean enough. One thing that has streamlined all of my cleaning is using Thieves. I am so thankful for you introducing that to me. That one cleaner cleans everything. I threw away everything else and grab that one bottle to clean absolutely anything! I think a series would be nice, sure! I am like you, I am a clean freak about certain things but since I work full time I have to be ok with a clean-enough house also. Three dogs, one 20-something daughter, an avid cook and gardener, a wood stove, living in the mountains, it all means there will be dust, ashes, wood chips, dog hair, leaves, dirt, etc. I give the floors a thorough vacuuming and mopping once a week, and keep the counters, stove, bathrooms, and sink wiped down regularly. Laundry is done as needed, usually I’ll tackle it before work. A deep clean happens when time allows or it becomes necessary. I try to tackle one ‘bigger’ project each week such as cleaning out the fridge, wiping down the cabinet fronts, etc. A housekeeper would be amazing, but I don’t see it happening in my lifetime so I do what I can! I’m pretty much a putterer, a featherer when it comes to taking care of my nest. I would love a series on housekeeping. Every tip or short cut would be appreciated. Yes, I would love to see a series on housekeeping. I have a larger home and I find that the whole house cannot be “clean” at one time and it drives me crazy. I know I have to get over that, but I would like some tips on keeping a clean-enough home. Also! I have noticed that you changed your dining room furniture layout. I would love to hear more about that and why. Thanks! Oh, you’re right! I did. I’ll have to come back to that room :)! I think you should. I once tried to hire a house keeping service because l was overwhelmed and had a baby. But l found myself examining their cleaning skills and ended up cleaning after them! Thankfully we are in a townhouse which makes really easy to keep clutter at a minimum. I am a recent follower to your blog . My husband and l have struggled with what material to use on our kitchen floors. I am happy to say that when l read your kitchen makeover l was so inspired to copy Everything 😜!!! I agree about the housekeeper. We tried it also for about 2 months and were not impressed with the results, so we stopped that. When you’re paying good money for a service like that and feel like you’re not getting your money’s worth, its disappointing. Anyway, my husband is very good about helping with household chores so we can usually tackle the major stuff (floors/bathrooms) once a week on a Saturday or Sunday morning and we keep up with laundry daily. It helps when both of us dislike clutter and like things to be neat and orderly! I would LOVE a housekeeper, but this is exactly what I’m afraid of; pay an arm and a leg, but they just barely swipe the surface. My fiancé is great to help out, but we are both dead tired every night of the week. I hate to lose even an hour of my weekend doing chores. It feels like all I do is work. Would love to see a series dealing with all of these issues! Go for it! YES! I would love an ongoing series about housekeeping. I have a couple of physical limitations and it is very difficult for me to do a lot of cleaning at one time (ie., Saturday morning house cleaning). I need a source of motivation to keep doing what I can. I would love to have a refresher on a housekeeping routine. We began homeschooling our kids last year and I’ve completely lost my mind, er, I mean my routine. If I have a break from pulling out my hair, uh, I mean schooling my kids, I’m at a loss on where to start. Love your doggo pics by the way! We have a crazy house! Full of kids and stuff. I create “zones”, but not everyone remembers to use the zones. Also, I am looking forward to another book soon!! 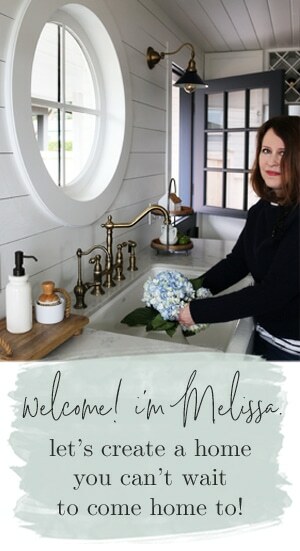 Melissa, I am new to your blog. I have all of your books and am so enjoying the sincerity and “realness” of your story. I would love to hear more about how you go about the business of house keeping. I would also like to know if it is still available to get the worksheets that you used in teh 5 week make room for what you love challenge. I have the kindle book and am about to order the actual book, but really loved the graphic from the challenge. Thanks so much for all you do!. P.S. I have just finished reading your devotional pages on Proverbs 31. Thank you!! You may laugh but one of the best things I ever got to help me clean are a set of microfiber gloves for dusting. So much faster and I can put them in the washer. I also put Dawn dish soap in the tub and use the broom to clean out the tub( good enough). I don’t have to bend over and strain myself. Which, Francesca, then also gives you a clean broom. Great idea. Ooh, I like that idea! Bending and leaning are hard for me too. Or maybe a sponge mop? I would LOVE to see more on common sense housekeeping…. my mother was not the cleanest, more cluttered as she got older….and I inherited that, except for teaching myself how to clean/organize in my early years to avoid her clutter. So I have taught myself some things, basic household managing was never passed to me, and it really makes me feel stupid…. but what is the ideal? Too much stuff overwhelms me, and yet, my personality needs to SEE or VIEW everything or I ‘lose’ it. So it’s a challenge to make it work. With 4 boys, 3 disabled and my elderly mom with dementia it’s a struggle to keep up. Love your posts and so excited for your new book!!!! I think I’ll post that somewhere that I see it often: it’s easier to keep up than to catch up! Gosh, I would love it…..I need to get my life, my home and myself back under control. Things spiraled out-of-control last year when it was determined that my husband had stage 4 cancer throughout almost his entire body. He only lasted a few months and then I lost the love of my life after 24 years of marriage. My world stopped when God brought him home. But with God’s help and that of many others by prayers, phone calls and cards, I’ll make it! In the meantime, my home has suffered greatly and I need your expertise…….Thank you! Toilets, towels, bedclothes, sinks, worktops. If you keep those clean the dusty stuff is not really so important. And find a “quick” way of cleaning that works for you. I have occasional BnB guests, and have found that the easiest way to keep upstairs clean is to mop the floors. Bedrooms have wood floors, bathroom has vinyl, so a bucket of hot water with a little cleaning liquid and a mop will do all the upstairs floors very quickly. No vacuuming needed, as the mopping takes up any dust, hairs, etc from the floors. And dust with a damp cloth, always. E-cloths are king! I have a variety of decorative items. I switch them out during the seasons. I store them in a spare bedroom closet. Where do you store those extra things and how often are you switching them ? I’m not too happy when guest come , which is not real often , I am sure to family , it is not a big deal ! I am an aging , busy teacher , Pastor’s wife on a pretty strict budget ! Yes to a housekeeping book! People think my home is ALWAYS clean but I always know where the “dirt” is and that is what I usually see instead of the big picture ☺. 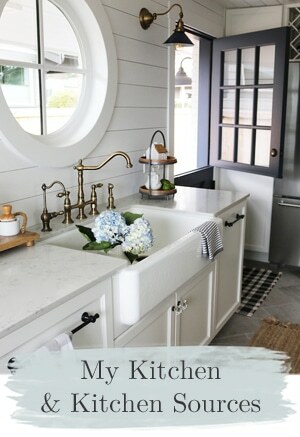 My main problem is the clutter piles that accumulate on my kitchen counter–they are what drive me nuts. LOVE your blog! Teenage boy! Sometimes I take toilet paper and use that to clean on the fly in bathroom etc, can’t tolerate clutter, don’t want to use chemicals to clean, and starting to purge in prep for downsizing in the coming years. I think house work is a very different animal in all the various stages of life. Life is short so keeping up means I can keep some free time for fun. Yes, please. I’ve been retired for 9 years, and with downsizing in mind, have been decluttering the last couple of years. While I have a cleaning routine, I still need to tweak it, so any advice/tips would certainly be welcome and appreciated. Decades ago, when my oldest was in college…..she is now 47!! She did a one week management internship with McDonald’s. The first day she came home and asked if I had set up a McDonald’s in my younger days…. I did not!… But Mom’s style of “clean as you go” was a main part of their training. I still follow this concept. Take the time to put things away as you go and you won’t be in the panic when you turn around and want to say “What happened?” We have now moved to a one floor patio home that should allow us to age in place. In moving we got rid of 1365 items (yes, I am the type to keep track) some as small as CDs some as big as a generator. I have a sign that hangs in my kitchen that says: MY HOME IS CLEAN ENOUGH TO BE HEALTHY AND DIRTY ENOUGH TO BE HAPPY! We are empty nesters in a big 2 story house and I am ready to downsize, for the cleaning to be easier! I would love a series on housekeeping! I am a very very tidy person, and have taught my kids and hubby to be the same. I love gleaning more information on housekeeping though! I try my best to be tidy.. I have the hardest time keeping my bathrooms clean. (I have 2 little boys) I also have marble on my shower floor and cannot seem to get them clean without using anything harsh. Any suggestions? I would appreciate it! And yes to the cleaning tips on IG story’s! Yes! An ongoing series on housekeeping would be lovely! I love your other books and have appreciated your cleaning advice. Currently I live in a little 500 square foot apartment with my husband and two daughters (2 & 4). We do really well on daily clutter, daily cleaning, and a weekly routine for bigger things. But then I start forgetting things like cleaning the oven or curtains or even neglecting dusting until it becomes a huge chore which is not fun! Also, I’d love advice on cleaning around or despite of projects as that’s a huge deal in such a tiny space. Thanks so much for your posts! Yes, I would love to see a housekeeping series! As Chris said above, I learned to “clean up as I go” from my first mother-in-law. What a difference it makes, especially when you’re cooking! 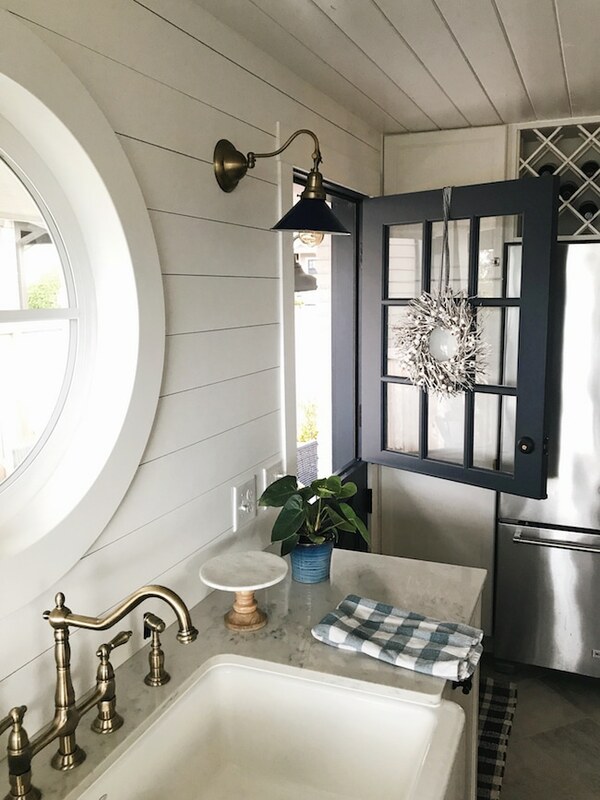 As for the rest of the house, I do the germy stuff every two or three days–sometimes daily if anyone has a cold or virus (toilets, sinks, kitchen countertops, laundering towels and sheets). Everything else gets done when I notice dust! My husband loves to vacuum, so that’s his job, and he does the whole house once a week. Oh, and I hate a spotty or streaky mirror. Does anyone have a favorite glass cleaner that isn’t Windex? I would love any suggestions! Hi Melissa! I would love it if you had a series about housekeeping on the blog. 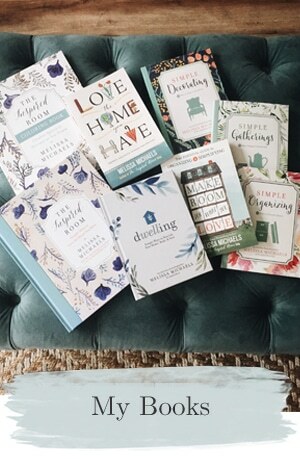 :-) I think I have similar views to yours — for me, “clean enough” is good and my husband and I have a lil motto that we say that makes us feel better, too: “We live here.” But I would love to read about the products you use, if you make your own, any seasonal cleaning rituals you have, stuff like that! Thanks! Yes, I would like a cleaning series. I’m constantly battling paper stacks and counter clutter. I finally decided I need more closet space to put things, but now I’m cleaning out the closets. Also, maybe you can touch on how to setup your kitchen, which I know you have talked about, but my problem is how to arrange things on the counters so that they look nice, are accessible, and aren’t cluttered. your coffee area inspired me. i now have a cup tree and a coffee area, but where do I put my basket of supplements, receipts, cook books, etc. I am a recent follower – so I have had a lot of catching up to do to bring me up-to-date to your new home. Your ideas are so common-sense and I love seeing my home through the new eyes your words and teachings have given me. I can tell you give a lot of thought and consideration about each topic you write about which is so helpful to your readers. Yes, I have a notebook with sections for each of our rooms, along with photos, ideas and inspirations and plans. That’s just the starting point! 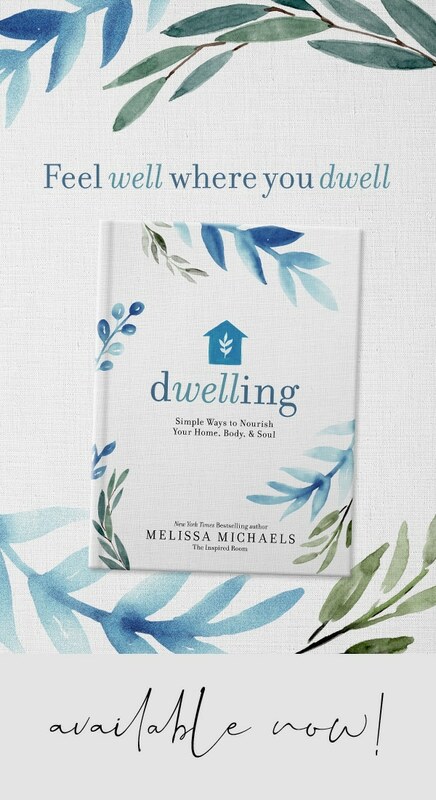 Thank you sincerely for sharing your gift of home ‘making.’ You are an inspiration! Welcome, Debbie! So glad you found your way here! I would love for you to do a series on your housekeeping process! I feel like I can always learn something new and when I see how others do something, I tend to incorporate bits and pieces that work for myself! So, yes! Please do! That would be great Melissa, especially if it’s focused on time-efficient cleaning. I am completely on board with the “clean enough” concept! I could even post it on my blog! I tidy my house every day, and live with a decent amount of dust. I continually look for better ways to organize the spaces and possessions we have. Mostly, I focus on creating a peaceful, inviting environment. I am 82 and I still have problems with housekeeping. Almost had a nervous breakdown when my first baby was born because I couldn’t keep up and it really bothered me. That’s when I discovered I was a perfectionist and the pediatrician gave me a really good pep talk. It took me years to finally let the “perfect” ideas go. I now have come to the conclusion there is no such thing as perfect because that word has a different meaning for every person. My husband had a rare cancer and I took care of him for 18 mo. and pretty much ignored my house. He was more important. I put things out of sight in the rooms we didn’t use and now I have such a mess to deal with I don’t know where to start. At 82, I feel so overwhelmed. It just doesn’t seem like I make any headway and it does bother me to think I will probably die before I can get a little order in my home. Oh sweet lady, I’m so sorry. First and foremost, take care of you. Even just focusing on a couple of small areas you can manage more easily might make you feel better and less overwhelmed. Is there someone you trust who could help you? A family member, a local church or even someone who could help you to find a household assistant or an professional organizer? Dealing with this alone would be hard for anyone, so I hope you will be able to find some support, please let me know if you need help finding someone. I’m so sorry for your loss and all you have to face now. My heart goes out to you. I think a cleaning blog would be great. I am a little opposite than most comments in that I have a small cottage house. My problems are different than the large house. A place for everything and everything in its place is the motto I try but my husband doesn’t see it the same way. No matter how much you clean if it is not picked up – ugh. I had a revelation the other day as I wrote in my gratitude journal that I was grateful for my ability to see all the areas in my house that need to be cleaned and then chose not to do them. This gave me the ability to laugh at myself and release the shame and self judgement that continually plays in my head telling me that my house is never clean enough. It was very refreshing to take off that straight jacket of perfection. The next day I started doing the home care that I was putting off before but with a totally different mindset. If an area of my home is hard to maintain then I need to rethink the layout of that area. For instance I don’t fold clothes right away and then clutter piles up quickly in my closet. I have since put a basket for clothes that don’t need to be laundered yet but need to be put back. My closet looks amazing and every few days I go in and fold/hang up the clothes. My bathrooms get a minute or two of wipe down every day just so they always look presentable. The cleaning product is under the sink so it is easy to make it part of my morning rountine. My home is not perfection but it is cozy and cared for. Sometimes good enough is just fine. I’ve come to realize that that straight jacket of perfection never really looked good on me anyway. I think that would be wonderful. We just gave up on the second housekeeper we tried in the last year. Like many already described, we felt like we needed to clean up after they left. Now we are back to my husband and I being the housekeepers, so any suggestions would be welcome! I used to organise, clean and tidy my room from age 4, but since having kids it’s gotten too messy for my liking. The more time I spend on cleaning, the less time I have to spend with my kids. I have tried assigning them tasks (they are 5 and 9) but I still feel there is so much more I need to do. My husband is away from home from 7 am until 8 pm Monday to Friday so most tasks fall to me. I would love for you to do a House cleaning series both on your blog and IG stories! Like you there are certain things that are more important to me than others in terms of house cleaning. For me, my highest priority is dishes and keeping a clean kitchen and reducing clutter around the house. I also try to make my bed every day. Having a functional kitchen (since I use it multiple times a day) and a relaxing bedroom that is well put together make me feel more sane! Lol! I, like many people here, like to keep my home decluttered. I keep a small box handy at all times and as I come across things that haven’t been used for a while, bad purchases, etc., I put them in the box. I recently came across a cleaning routine I like and works for me. Do one task each day, take 10 minutes to do it and do a load of laundry from start to finish each day. This has been a great plan for me. I guess I inherited my cleaning abilities from my mom. A clean, decluttered and organized house is second nature, so I am thankful I had her as my mentor. It will make an upcoming move a bit easier. I NEED HELP. Please do a cleaning series. I had another thought which may or may not be related to a housekeeping series. Would you also talk about housekeeping and keeping spaces clean as you’ve chosen materials while renovating spaces? Do the materials you choose help you keep your home clean/neat enough? As any of the rest of us might be working on revamping spaces, could you advise us towards or against materials/finishes or the like? Thank you!! Just reading the comments here has been enlightening! Apparently this is a subject of interest to many. I would love for you to do a series on housekeeping. Mine has completely gotten out of control and I am trying to get back into the habit of doing things daily. I did Flylady for years, but caring for my husband and my father who have both had major illnesses, I have let things slide. Thank you.